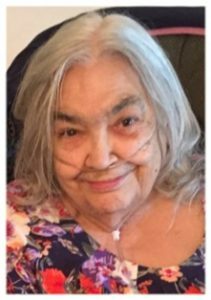 Ruth C. Neumann, age 88, of Port Washington, Fredonia and Cedarburg WI, passed away on Thursday, October 4, 2018 at Aurora Medical Center in Grafton, WI. Ruth was born on August 26,1930, daughter of Fary and Meta Schroeder Sauer. Ruth grew up in Port Washington and graduated from Port Washington High School in 1948. Ruth married Ray Yankunas and they had 5 children together. She was a homemaker and later worked at Smith Brothers Restaurant. Ruth was involved with her children and grandchildren in Girl Scouts, 4-H, Sunday School and Christmas pageants at St. John Lutheran Church, Port Washington, WI. Ruth enjoyed crocheting and donated over 1000 hats to hospitals for newborns and homeless shelters. Ruth also enjoyed reading, playing bingo, spending time with her family, and she loved to watch “her” Packers play. Ruth’s generous spirit will be missed by her family, whom she showed love to countless times by opening her home to them and assisting them in times of need. Ruth is survived by her children Donna (Rev. Robert) Braband of Lombard, IL, Sharon Yankunas of Fredonia, Douglas (Marcia) Yankunas of Kenosha, David (the late Gwen) Yankunas of Fredonia and Stacy (Rob) Yankunas of Cedarburg. She is further survived by her grandchildren Ashleigh (Jake) Vnuk, Mike (Heather) Ackeret, Dawn Yankunas, Douglas (Stephanie) Yankunas Jr., Amanda (Patrick) McCartney, Jeremy (Gin) Braband, Darin (Deanna) Yankunas, Kim (Mike) Priaulx, Ami (James) Weeks, Rachel Braband (Cameron), Paige Schommer, Gracie Yankunas, Jackie (Sul) Bashabsheh and great- grandchildren Alex (Keishla), Cecilia, Mia, little Jimmy Jr., Bethany, Hannah, Violet, Jude, Fletcher, Cassie, Rebecca, Frank, Millie, Mason, Kora, Brooklyn, Katelyn, Jordan, Logan, Anthony, Eric, Jasmine, and Dreyden; brother William (Helen) Sauer, sister-in-law Mary (the late Harold) Sauer, nieces, nephews, other relatives and friends. Preceded in death by her parents, brother Harold “Harry” Sauer, grandson Adam Braband, daughter-in-law Gwen Yankunas, nephew Harold Sauer Jr. and 1st husband and father to her children Raymond Yankunas. The family invites all to join them at a celebration of life for Ruth on Monday October 15, 2018 at Peter Wollner Post 288 American Legion, W57 N481 Hilbert Avenue, Cedarburg, WI from 3-6 pm, with a short service at 4:30 pm. Previous Post: Larson, Victor A. Next Post: Sommer, Mary L.